These new one hitters from RYOT are made from walnut wood and topped with a handblown glass bowl at the end. 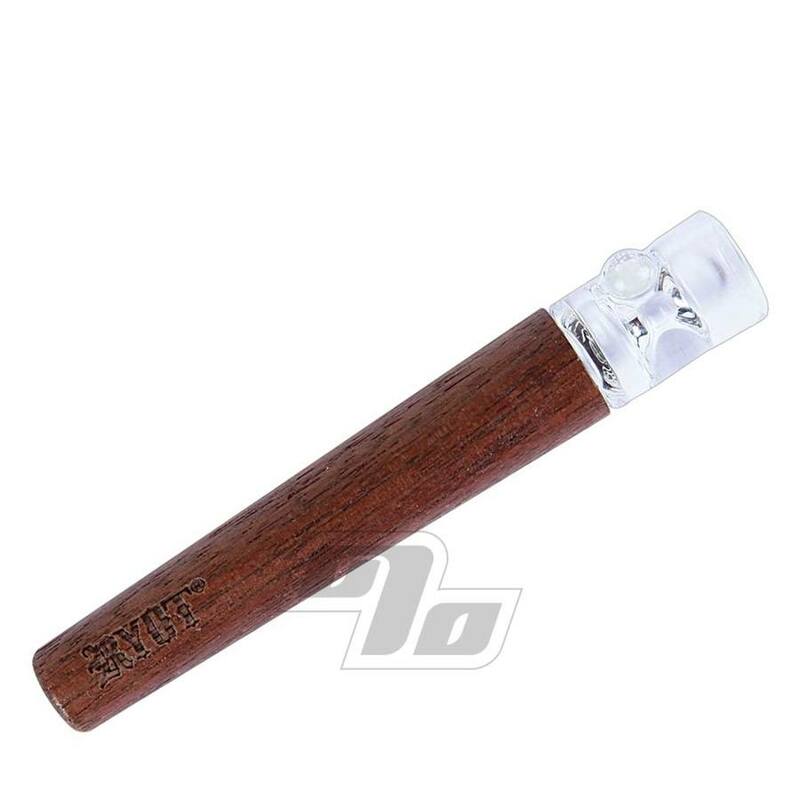 Combine stylish wood taster bat with the smoothness of glass and you got one nice one hitter. RYOT logo is tastefully engraved on the wood bat. This slightly larger capacity version measures 12mm diameter at the bowl and runs 3 inches in length. Even thought the Glass bowl tip is now permanent it's still pretty easy to keep clean with a regular poking/pipe cleaner or a dip of the glass tip in some alcohol. Just don't get alcohol on the wood and all good. These one hit bats are also ideal for when you are trying to quit cigarettes and/or want to reduce your herb intake in style. We love the top quality RYOT gear, especially this piece.